Our research interest concerns the basic regulatory mechanisms involved in cellular differentiation. This work is primarily undertaken using cardiac and skeletal muscle cells as model systems and is aimed at understanding the role of transcription factors in orchestrating tissue-specific gene expression and differentiation. These interests have more recently been applied to the study of dysregulated gene expression in the adult myocardium in heart disease and also the post natal maintenance and regeneration of skeletal muscle. The genesis of this work was in identifying DNA binding proteins that are involved in transcriptional regulation during muscle development. 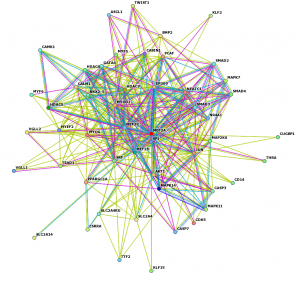 Subsequent work explored the mechanisms by which these factors regulate cellular gene expression and differentiation. A main focus of our work has been the molecular cloning and characterization of a family of transcription factors (four genes, labelled MEF2A-D) that regulate the expression of many cardiac, smooth and skeletal muscle specific genes via the myocyte enhancer factor 2 (MEF2) cis– element. 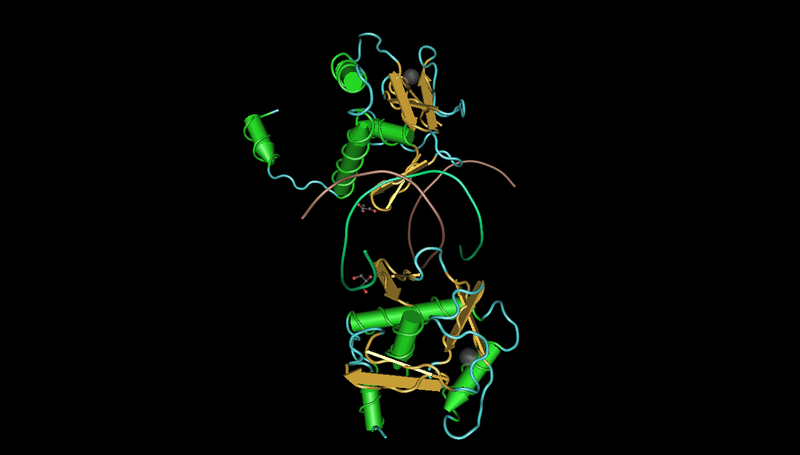 Based on their structural similarity, these genes belong to the MADS superfamily of DNA binding proteins that are involved in cell fate specification in many organisms ranging from yeasts to humans. 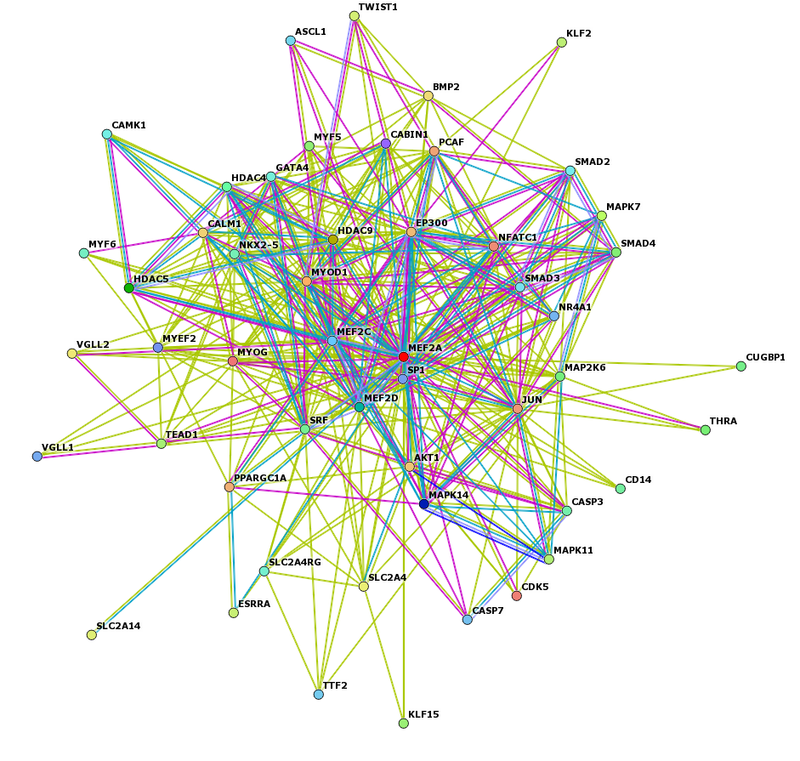 Since the identification of the MEF2 gene family, further studies have been undertaken to assess the biological role of these genes during cardiac and skeletal muscle differentiation as well as in a variety of post-natal contexts such as heart disease and skeletal muscle regeneration. It is well known that various intracellular signalling pathways potently regulate cell differentiation by targeting nuclear transcription factors. Moreover, muscle differentation is extremely sensitive to the action of various growth factors. Therefore, our aim is to delineate the growth factor-activated signalling pathways that specifically converge on and modulate key transcriptional regulators such as MEF2 proteins during myogenesis. We are currently dissecting the role of phosphorylation dependent protein:protein interactions and their role in protein complex assembly in order to fully understand how growth factor -activated signalling pathways control gene expression. Studies are also ongoing to determine the contribution of other transcriptional regulators such as the Fra2 subunit of the AP-1 complex and the Smad7 protein to the myogenic program in cardiac and skeletal muscle cells. This work is supported by the Canadian Institutes for Health Research (CIHR), the Natural Sciences and Engineering Research Council (NSERC) of Canada and an industrial (MITACS) collaboration with Sanofi Pasteur). Studies by many groups have indicated that the basic genetic pathways that control tissue- or cell-specific differentiation have been conserved during evolution. For example, the genetic hierarchy controlling muscle formation seems to be highly conserved from Drosophila to humans. 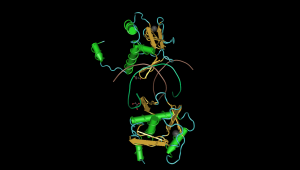 At the molecular level, this is exemplified by the structural similarity of regulatory molecules such as the MADS domain proteins that are conserved from yeasts to humans. In the future we hope to define some general molecular principles of cell differentation by exploring this cross-species evolutionary conservation of transcription factor function and the signaling pathways that control their activity. McDermott Lab © 2019 All Rights Reserved.